In my search for new sonic textures and timbres, I create instruments. 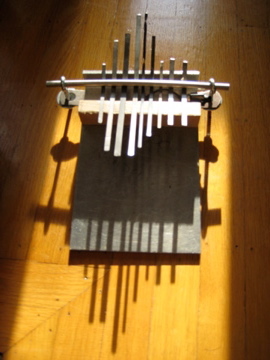 These instruments, both sculptural and musical, generally emerge from discarded objects; objects that have outlived the use for which they were originally intended. These pieces explore our relationship to tools, obsolescence, expectation, and memory. From a musical standpoint, the tonal quality of various objects will gravitate, or repel, like magnets. Some ask to be combined into an instrument. Some want to be left alone.